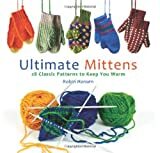 Mittens are a great project for knitters who have some basic knitting and pattern following skills and ready for a little more challenge. 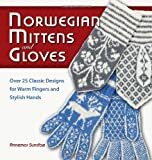 Gloves are a bit more complex on account of the many fingers and the need to do small diameter knitting using double pointed knitting needles. Intermediate. Knit sideways in garter. W & T's are used. Super squooshy & comfy. Mitten is knit flat, thumb is rnd. Gauge: 4.625 stitches per inch or 18.5 stitches per 4 inches. Beginner/Intermediate. These basic mittens can be sized for adults, and use dpns in size US 5 & 7. Gauge: 6.25 stitches per inch or 25.0 stitches per 4 inches. Beginner. Fingerless or full mittens sized for the whole family. Gauge: 3.75 stitches per inch or 15.0 stitches per 4 inches.